Missed it. The border. 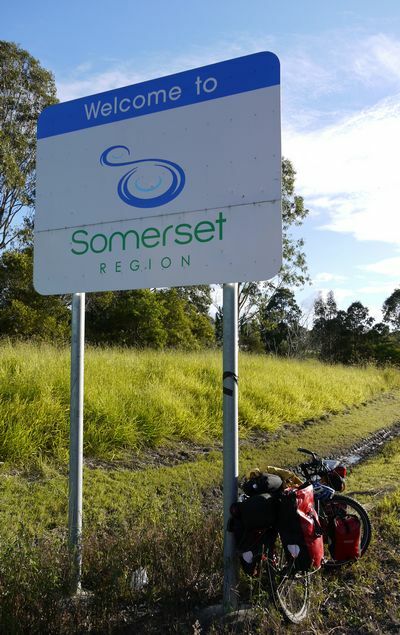 Between Queensland to the north and New South Wales. If there was a sign, it’d probably be on the main highway I’d sought to avoid. Carefully picking my way through roadworks. Along re-routed cycle paths. Tediously slow. No fences. No checkpoints. But the boundary between Queensland and New South Wales does matter. Different laws. For Australia is a federation. Just like the USA. But with fewer States. A less vocal gun lobby. And a lot more bowls clubs. In fact, just what you’d probably expect if the British did federalism. Just one short interlude. Michael. Towing a trailer largely constructed of chicken wire. He’d been struggling up a steep incline as I’d descended. Narrow path. Deep gutter. His head down. Concerned he might hit me, I’d given him a friendly shout. German. Heading north in search of work. Fruit or vegetable picking. Simple plan. Visit Southport. On southern Queensland’s Gold Coast. Few postcards for friends and relatives back in its Lancashire namesake. 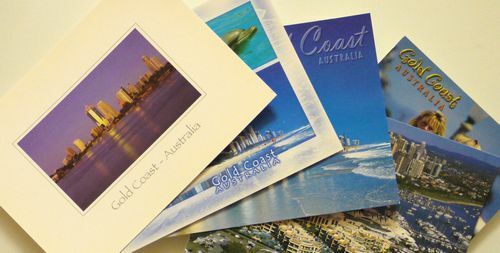 Alas, plenty for the Gold Coast itself. Or neighbouring Surfer’s Paradise. But not Southport. Bit disappointing. Namesakes from Ken Roberts on Vimeo. Ken makes a brief comparison between Southport on Australia’s Gold Coast and Lancashire’s namesake. Not suitable for retired Liverpudlian drugs dealers. 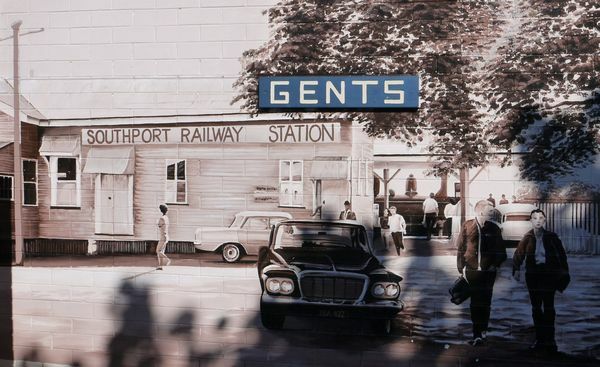 Southport slums from Ken Roberts on Vimeo. Ken finally reaches Southport. On southern Queensland’s Gold Coast. Carpet bombing from Ken Roberts on Vimeo. Caution. This video contains irreverent references to Stevenage New Town. But not the old one. I’m sure they’ve got a Waitrose. Rough scale python from Ken Roberts on Vimeo. Ken encounters an exceptionally rare rough scale python.. Bit of a crush from Ken Roberts on Vimeo. Not a short video I admit. But, unless you’re Reader in Reptilian Studies at the University of Snakesville, chances are you’ll learn quite a bit about pythons. With especial thanks to experienced snake breeder and handler, Kieran, for the opportunity to handle pythons. And need I say "Don’t try this at home"? Alas, these days, probably. Even Kieran gets bitten once in a while. Fortunately pythons kill by crushing rather than venom. Along the Brisbane river from Ken Roberts on Vimeo. They were off to Taunton in a few weeks. About ten miles from my Somerset cottage. Janet and Max. Had heard of my village. Even visited. Chance meeting in a camp kitchen. I’d wandered in for the usual evening recce. Power point for the netbook. Kettle or microwave for refreshments and breakfast the next day. They were with friends. Enjoying Friday night nibbles. Gathering at the site to celebrate Roz’s birthday the next evening. And, I gathered, we were actually in Somerset. Queensland. I’d seen Lake Somerset on the map. North west of Brisbane. And my final destination in Australia would be the town of Somerset on the island of Tasmania. But no idea there was a region of the same name. Until I stumbled across a sign at the side of the road. The previous day.